The MOOER Reverie Digital Chorus Pedal is an electric guitar footswitch chorus pedal. 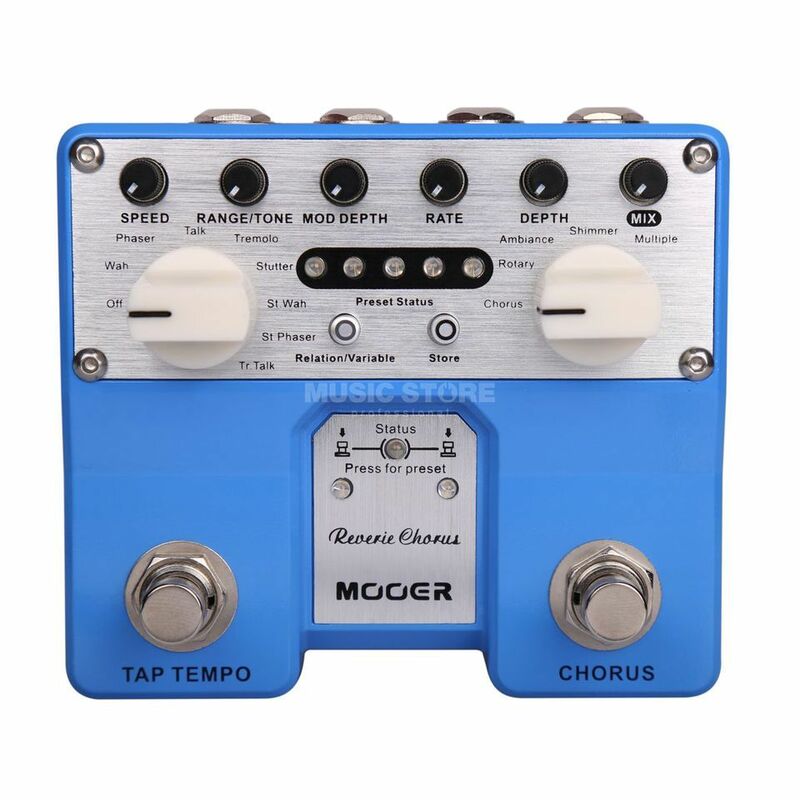 This pedal from MOOER’s Twin Reverie Series, is a competent and funky stomp box and has 5 different chorus modes as well as a section of modulation effects for extensive editing of the selected chorus sound. It has a Tap Tempo switch enables intuitive control over the effect speed, while variety function for different rhythmic patterns of modulation effects ensures great sounds with preference.